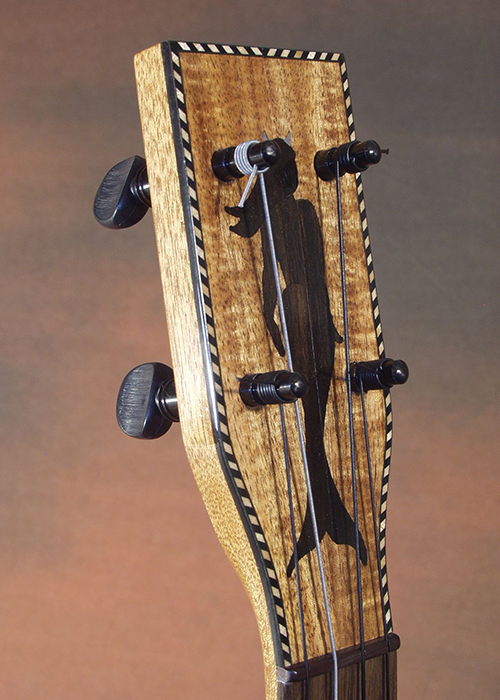 Title: "Devil Mermaid: Ukulele Noir"
Koa concert size ukulele custom built for Craig Robertson of Boston, Massachusetts. Craig has been in the music business ever since he was a young rebellious lad during the French & Bulgarian revolutions. As a teen he performed courtly music in the Palace of Ruddivel the 4th before being forced to flee the country to the American Colonies where his musical career got put on hold for a spell. During this time Mr. Robertson made a name for himself as one of the finest Haberdashers in the world. 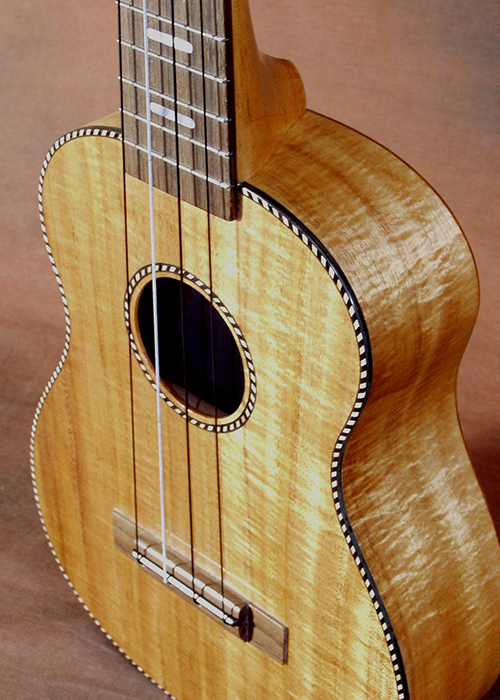 Unbeknownst to him, in the outer reaches of the Pacific Ocean forces were aligning on the tiny island kingdom of Hawaii letting the ukulele to come into being. Little did he know that this small yet mighty instrument would change his life forever.